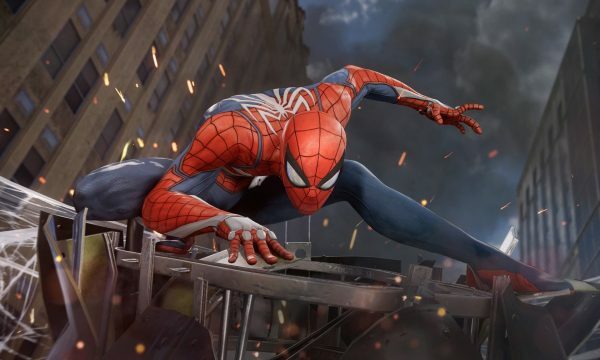 The release schedule for Spider-Man DLC, The City that Never Sleeps, has been provided by Insomniac Games and Sony. Update: While there aren’t any new details to speak of, Insomniac has unveiled a new teaser trailer for The Heist. The video offers our first look at Black Cat, and cinematic shots of Spider-Man chasing her across New York. Original Story: Spider-Man is out in a couple of weeks and the developers wanted to give everyone a heads up on when to expect the post-release content to arrive. As previously reported, The City that Never Sleeps is a three-part series that will feature a new mission, villains, characters, and additional suits for Spidey. The Heist will be released on October 23. Chapters Turf Wars and Silver Lining will follow in November and December, respectively. Interested parties can purchase The City that Never Sleeps from today for $24.99, or buy each chapter for $9.99 a la carte. Those who purchase the Digital Deluxe Edition will receive The City That Never Sleeps along with the base game for $79.99, or the regional equivalent. Spider-Man will be released on September 7 in Europe and North America.